The Greek island of Symi (also known as Simi) is tugged right against the border of Turkey, in the south east of the Aegean Sea. 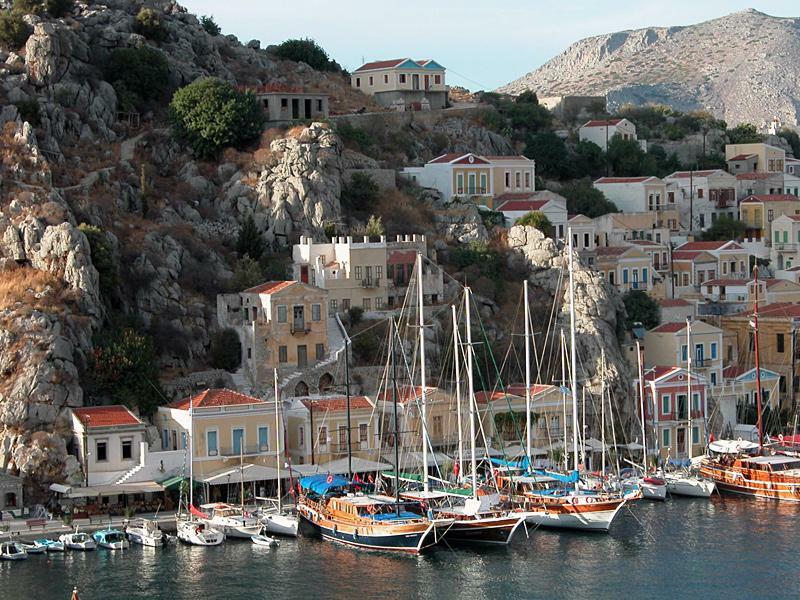 According to Homer it possesses eight good natural harbours along the much indented coastline, making it ideal for yacht charters and sailing holidays in the Dodecanese. Due to its proximity to Turkey it is often visited by luxury gulets or gullets. These gulet cruises - or blue cruises - are the most exquisite way to cruise the Carian and Lycian coasts of Turkey and of course the Dodecanese. Besides the island of Rhodes, which geologically belongs to Anatolia, the Dodecanese are arid and largely barren. Other must-see isles to visit in this area are Nisyros, Kos and Astypalea.